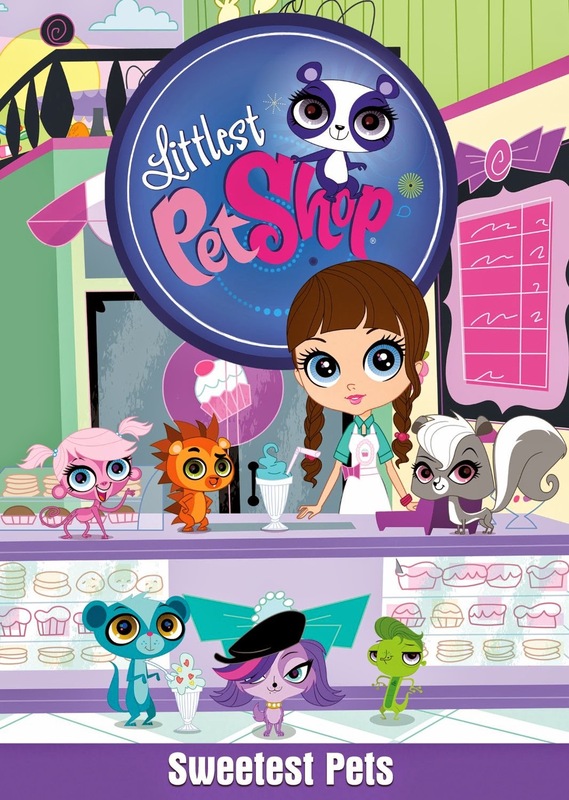 When Blythe Baxter moved into the city with her father, she never expected to move into the apartment above the Littlest Pet Shop. But an even bigger surprise awaited her. Blythe can talk to the pets…and they can talk back! On June 4, 2013, Shout! 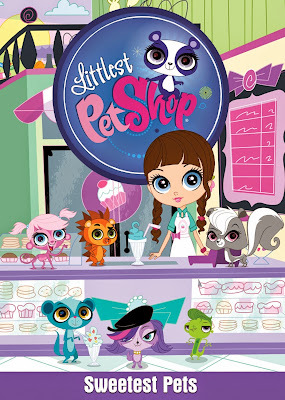 Factory Kids, in collaboration with Hasbro Studios, released Littlest Pet Shop: Sweetest Pets on DVD. Join Blythe as she embarks on five more wild adventures with her newest friends: Pepper, the hilarious skunk; Sunil, the magical mongoose; Penny, the adorable panda; Russell, the highly organized hedgehog; Zoe, the diva Spaniel; and, of course, Minka, the artistic monkey! I can't say enough how big a fan my eight year old is a fan of Littlest Pet Shop. Not only does she have lots and lots of their toys, she also has a game for her Nintendo DS and she absolutely loves the television show. With Sweetest Pets she had another great experience with the DVD and the bonus features. Not to mention she absolutely loves the theme song. I've caught her singing it a couple of times while in the bath or just humming it as she's doing homework. She's even got the theme song stuck in my head. Filled with tons of colorful characters and loads of songs that are all catchy, your kid will love Sweetest Pets! This is a great addition to any of your kids collection of Littlest Pet Shop, definitely a must have for all those little girls out there. And now you can bring it to your home as it's been released on DVD June 4th! Check out the another one of my daughter's favorite songs from this DVD, The Sweet Shop, below! Disclosure: All opinions are my own. I received Sweetest Pets on DVD at no cost for the purpose of this review. No other compensation was received.